In just two weeks it will be time for you to be sitting with your family members and the nearest and dearest loved ones to be thankful for everything they have done for you and vice versa. And for that particular night this month, you will have to or would want to work on certain designs for thanksgiving. 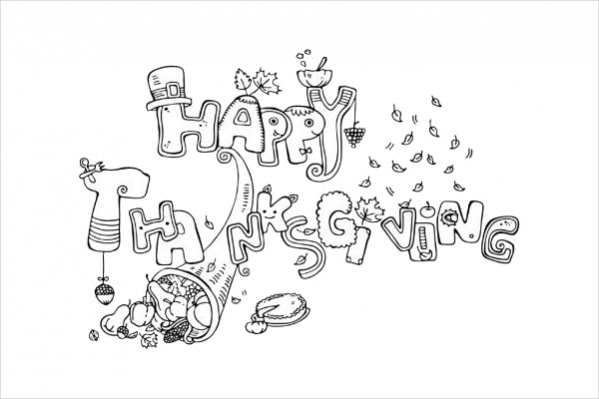 Here we have compiled a list of the best Thanksgiving Coloring Pages that you can download and print and sit with your family to fill colors in or you can do the same digitally and use the pages for different purposes. Have a look at them here. 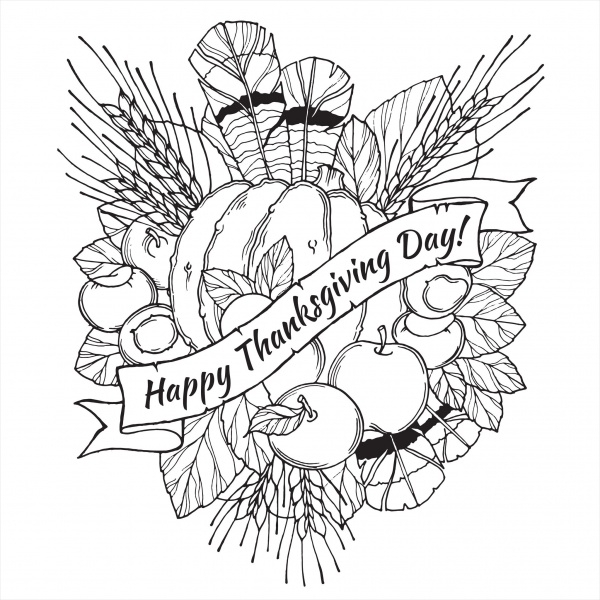 Wish your friends and family in a customized hand painted design this thanksgiving using this coloring page design that you can download for free. Do check out other related content for the theme in the link provided below as well. 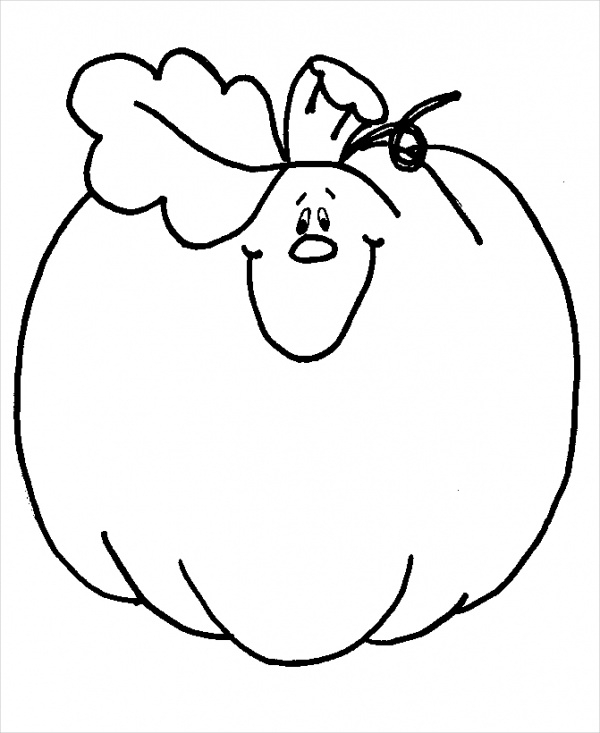 You may also see Free Colouring Pages For Kids. A thanksgiving tradition is that of a turkey. And usually, the whole bird becomes part of the feast as well. 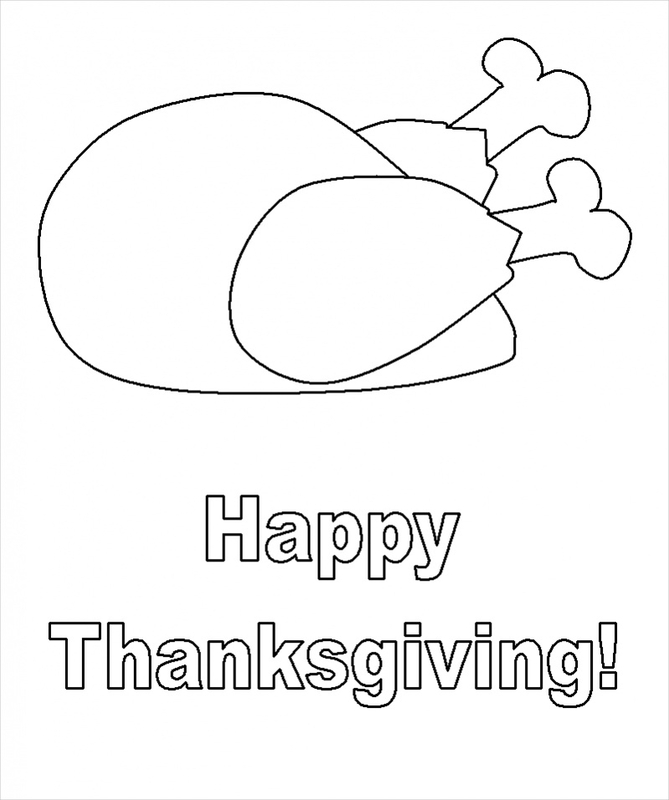 Here is a design which contains the turkey for you to color along with the wishful words.You may also see Free Coloring Pages For Adults. 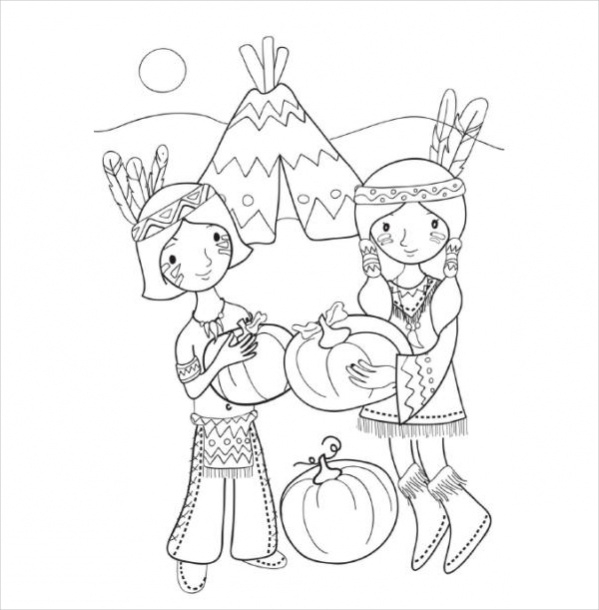 In the link provided below you will find a page design that shows two Native American children holding pumpkins to represent the pumpkin harvest season and the joy of thanksgiving. Download the page from here. If you really like to paint or fill colors digitally, then here is a detailed thanksgiving coloring page design for you. 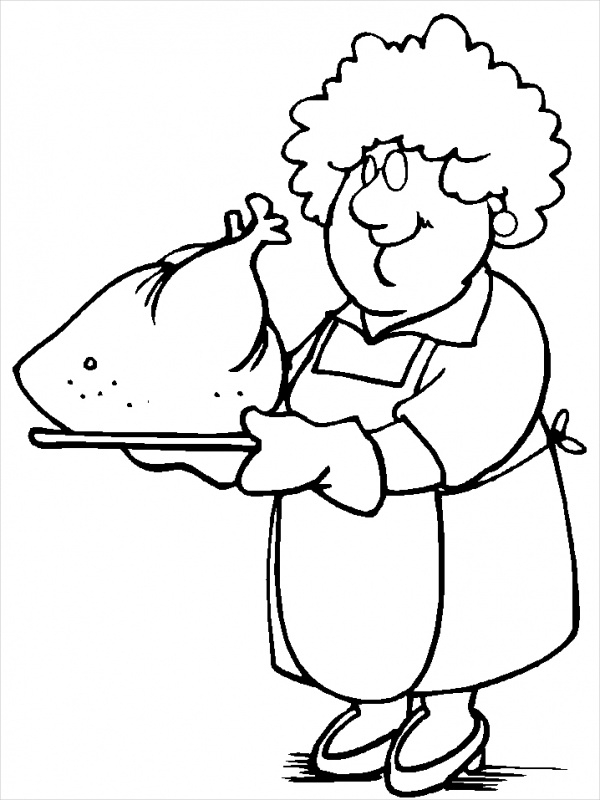 You will get elements like feathers, chestnuts, vegetables and various fruits drawn in a cartoon style. Usually, thanksgiving involves the entire family sitting together enjoying a heavy feast with one another. 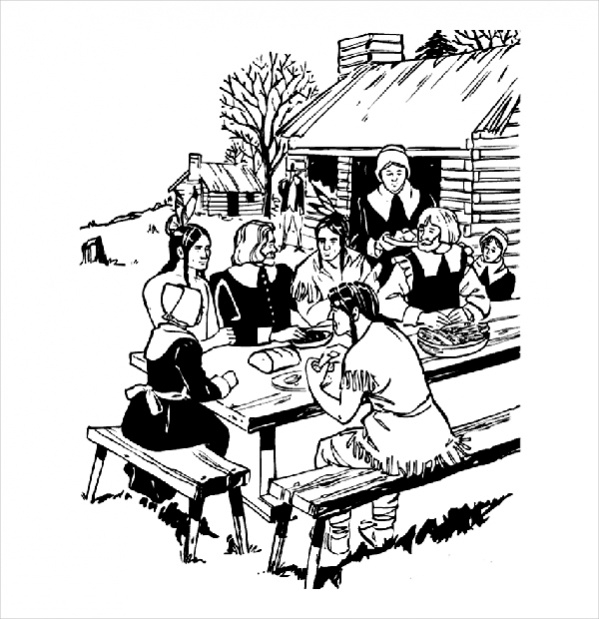 And here is a page design that shows a family and group of traditional natives working on their thanksgiving meal. You may also see Free Christmas Colouring Pages. Nothing works better than your grandma’s secret recipe for the turkey on Thanksgiving Day. And in case your kid wants to show this love to grandma, you can print this coloring page for him/her to work on their own edition. 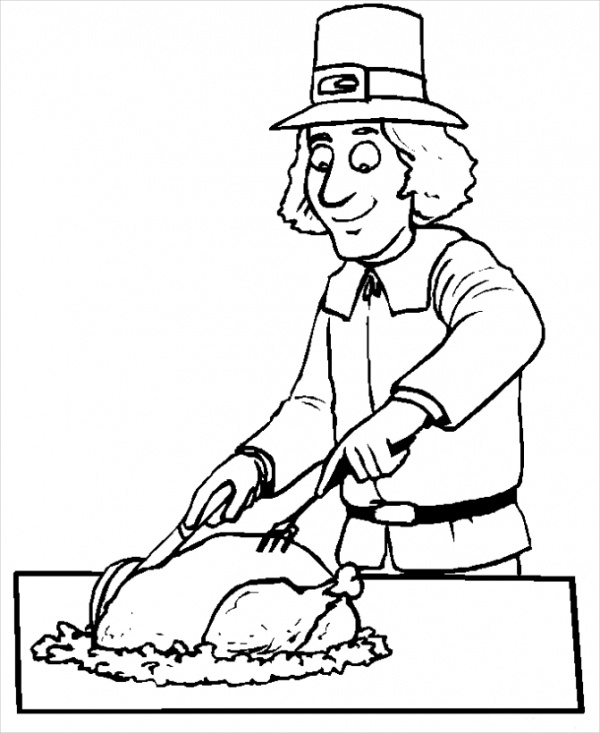 Here is another coloring page design similar to what you saw before, except the grandma has been replaced by this human in a hat carving through the freshly cooked turkey. This too will be a great design for kids to color. 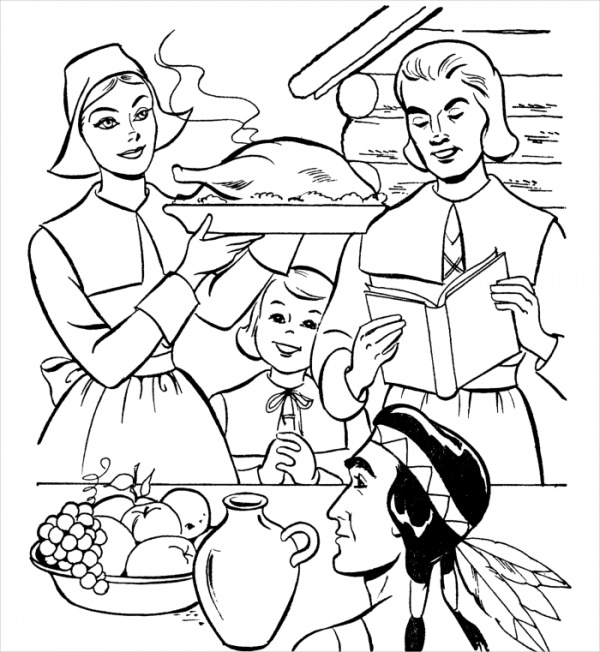 According to the designer of this coloring page, it represents a pilgrim family sitting together for their thanksgiving dinner which is complemented with the ritual of turkey for the meal. This too is designed for a younger crowd. 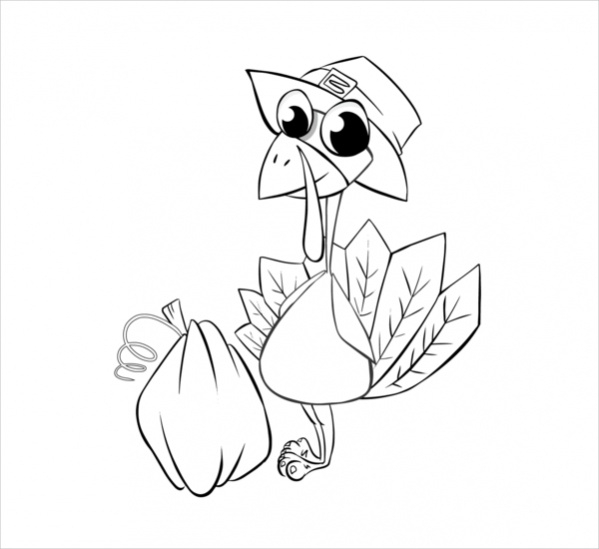 Forget about the human altogether and just focus on coloring the turkey first to get the details right with this coloring page design Or print multiple copies of this for your kid to happily spend the day coloring. A mandala design can be quite intricate. 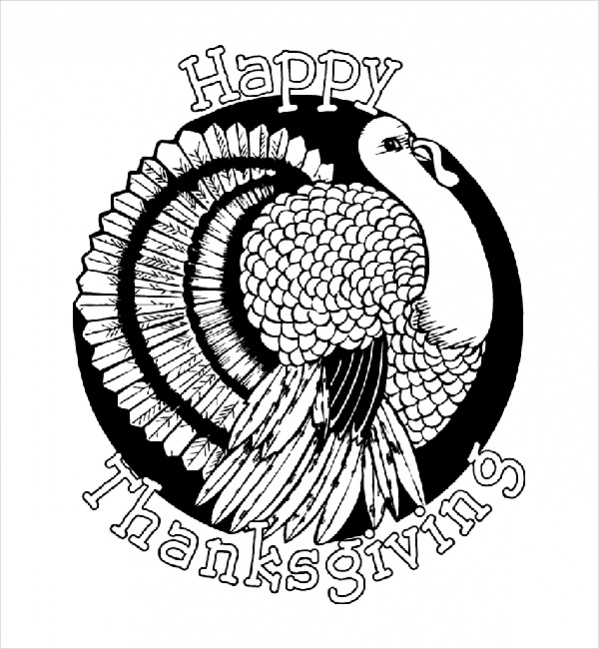 But you can also make it playful like this design to give thanks coloring page. It shows a bunch of turkeys placed around an artwork to create a circular shape of a mandala. 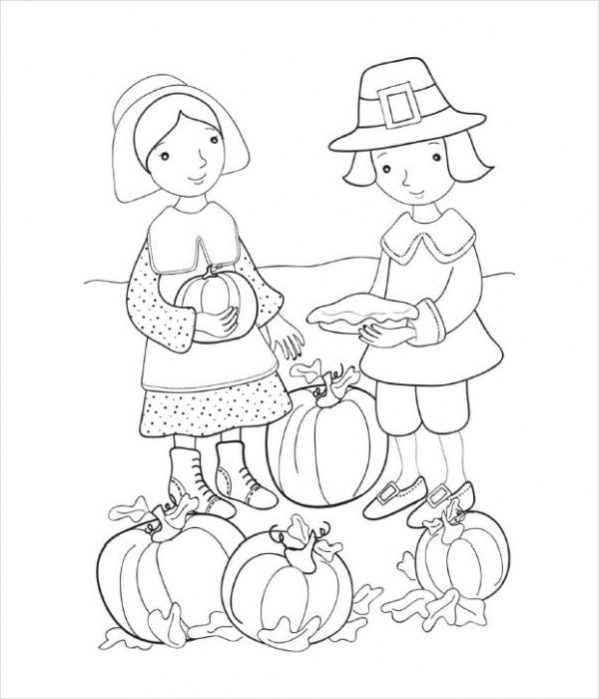 Pilgrims are represented in many of these coloring pages’ designs. And here is one with a couple holding pumpkin and a pie which too can be used to represent the pumpkin harvest like the one with the kids. According to the design shown here, the tradition of thanksgiving dates back to the early 1960s. And that was the time of pilgrims and native Americans, like the family shown here preparing to have the feast. 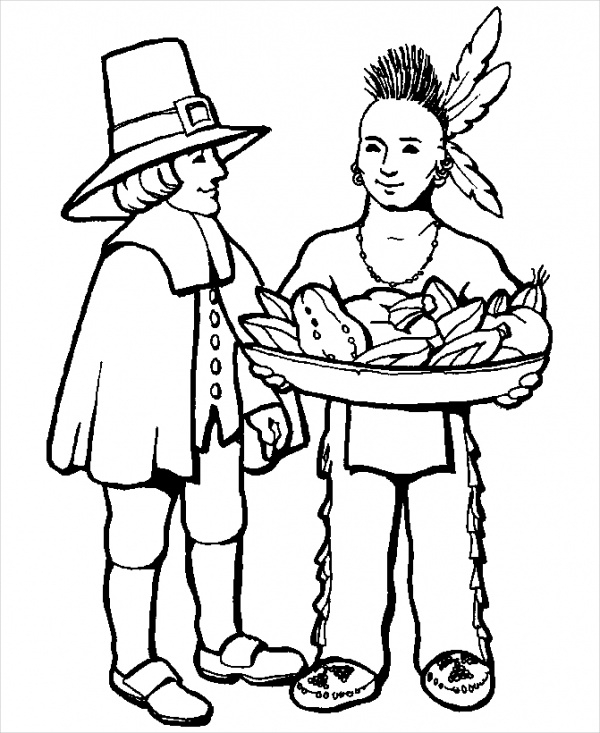 Here is another free coloring page for thanksgiving that will be equally enjoyed by any adult as it will be by the kids. 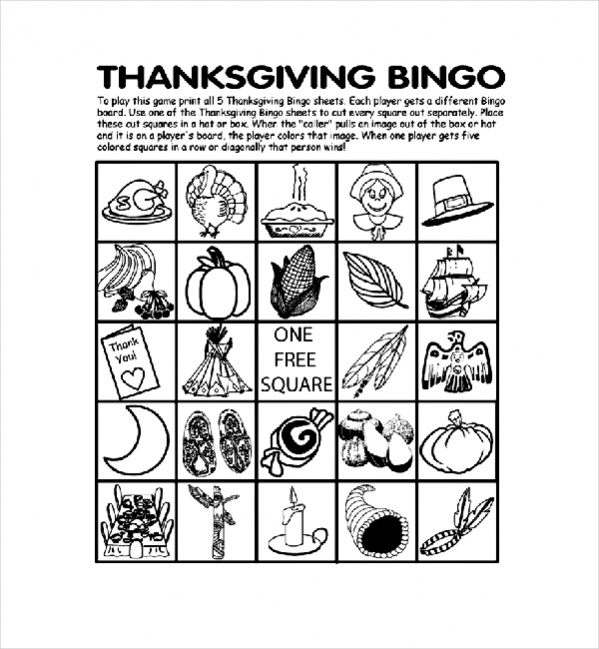 So this season of giving thanks, color this printable design with your family members. Cartoon characters are always loved by kids. And even more, if it is their favorite Mickey Mouse. 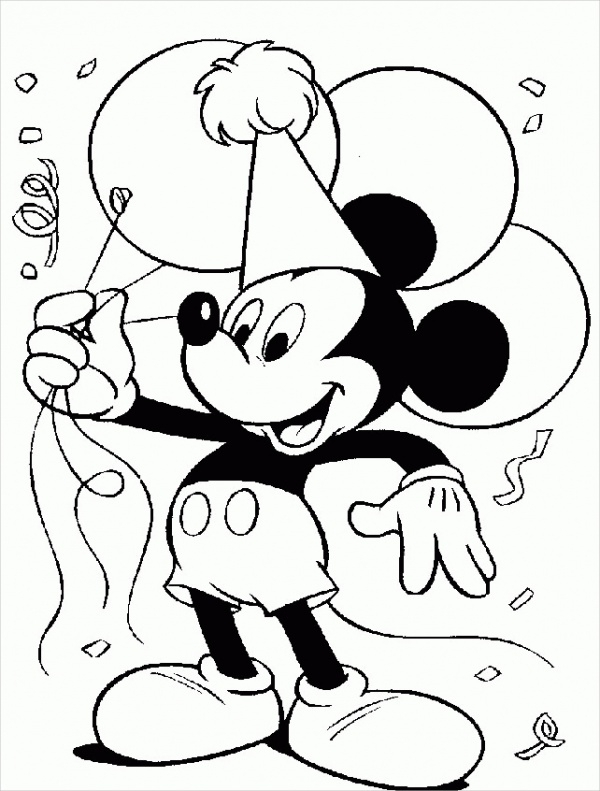 Here is a coloring page design with Mickey holding balloons and can be used for any joyous occasion, including thanksgiving. 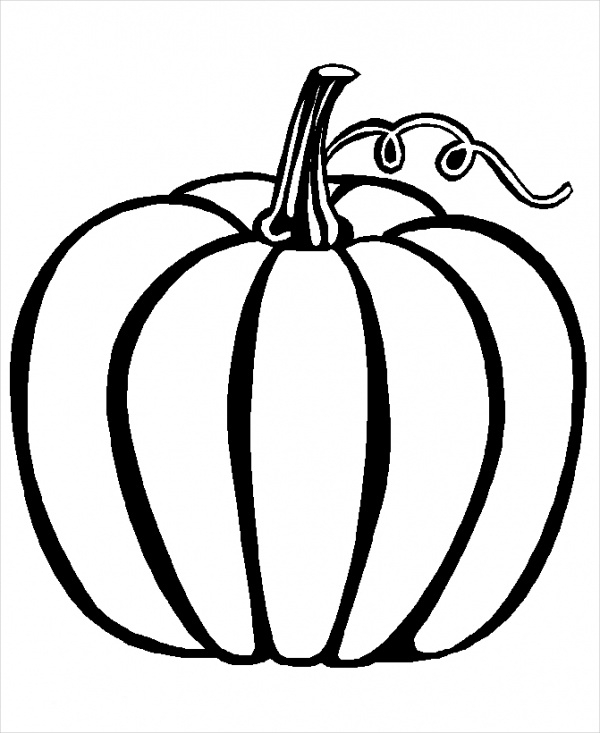 Check out this detailed design for a coloring page consisting of a pumpkin. As the title suggests, this will be a great choice for a coloring project for kids from preschool and other toddlers. 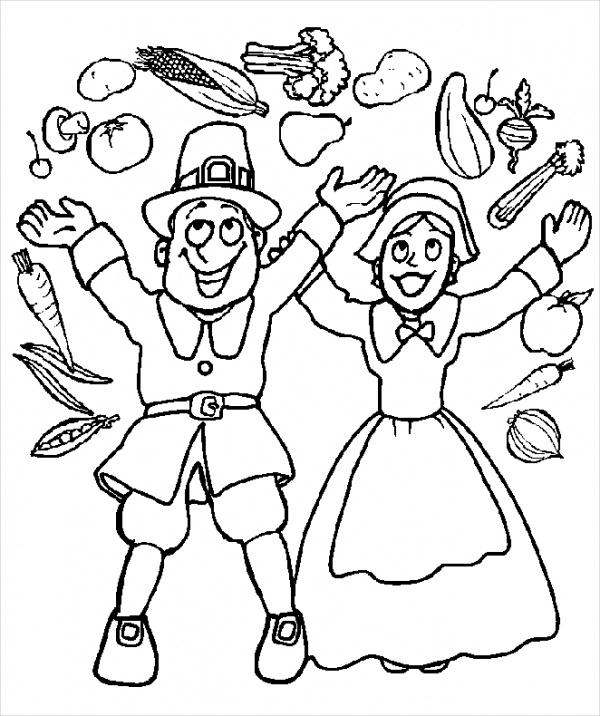 These happy thanksgiving coloring pages are all available for free. And these are just some of the thousands of coloring page designs there are. So you can easily download the page from the corresponding download links provided below them. Once downloaded, you can either open them with any of your editing software tools to color them, or you can print them and color them with your choice of colors. And you can even get one for each of your family members and make it a family time routine on a day, maybe even on thanksgiving night itself because when was the last time you did that as a family. 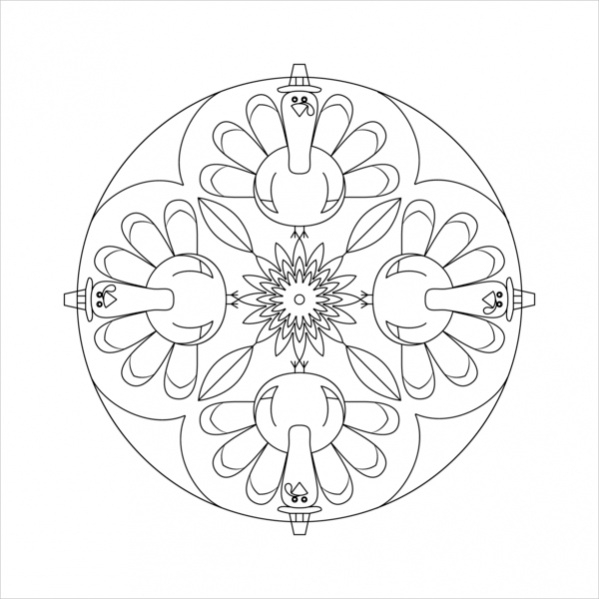 You may also see Free Mandala Coloring Pages. These coloring page designs are for anyone of any age group. Kids usually love to color, and for them, it will be a great way to spend some time. There are also multiple designs for adults who are coloring aficionados. And when it is for something like thanksgiving, all you need to do is be thankful to everyone for having what you got and cherish them.